It was a simple acronym, and Mark Meadows had his then 10-year-old son, Luke, recite it before baseball and basketball games. “What’s important?” Meadows would ask. It was meant to be fatherly advice, but 20 years later, Meadows continues to practice what he preached. 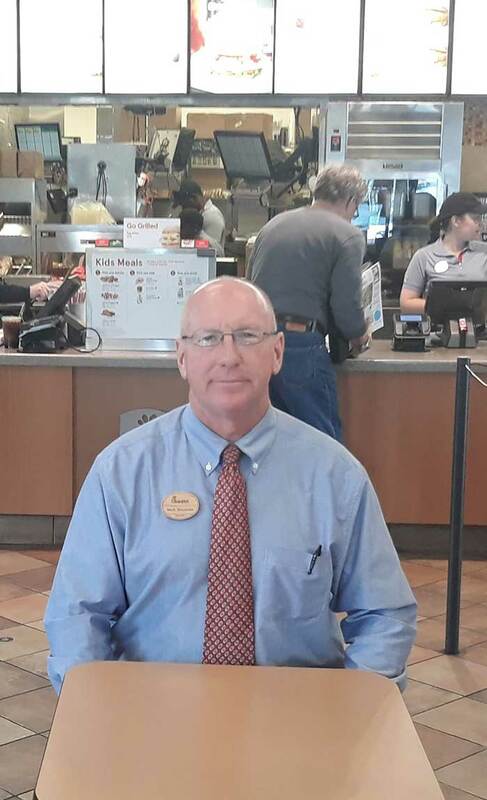 In late February, Meadows, the Operator of the Inverness Chick-fil-A in Birmingham, Ala., noticed a broken-down bus near his restaurant. A crowd of teenagers emerged and walked toward the restaurant. Meadows instructed his staff to get ready for several food orders at once. When the teenagers entered the restaurant, most approached the register. But about five kids retreated to a dining table, along with a pair of chaperones. Meadows overheard their conversation. They were high school students, and their bus had stalled during their 45-minute trip home from a state basketball tournament. A rescue bus wouldn’t arrive for another hour. The students didn’t have any money for dinner. Meadows wondered what he’d do if he were a teacher or coach. In a sense, he thought, the students were under his care. Meadows motioned to one of the chaperones at the table. “No kid will leave this restaurant hungry,” Meadows told the chaperone. He instructed his staff to make Chicken Sandwich meals on the fly, to be offered on the house. A half-hour later, the school principal, Quentin Lee, arrived. Upon learning what happened, he shook Meadows’ hand and snapped a photo of him, declaring he’d document the moment on social media. Meadows tried to eschew the credit, but Lee insisted. Feeding stranded students was a simple act of kindness, but such acts have become a pattern for Meadows. A few years ago, a man entered the restaurant, dirty and disheveled. After learning about the man’s recent hardship, Meadows drove him to buy him clothes, put him up in a hotel and helped him reunite with his family. Then there was the much-publicized 2014 snowstorm that grounded Birmingham to a halt. Observing the endless line of cars jammed in front of his store, Meadows trudged up and down the street, handing out hundreds of free Chicken Sandwiches to drivers. The next morning, he offered about 1,000 Chicken Biscuits to stranded workers holed up nearby. The following year, Meadows gifted a personal pair of gloves to a man who appeared to be homeless, who’d walked into the restaurant on a cold night. “He believes you should take care of people and do the right thing—it doesn’t necessarily have to be anything above and beyond, just the right thing,” said Audrey Pitt, a manager who’s worked for Meadows for nearly 15 years. Meadows never thought he’d enter the restaurant business—or attempt to run any private business, for that matter. His parents worked for stable employers—a plant and a telephone company—which appealed to him. But as a college senior about to enter a shaky economy, he sought advice from the father of his then-girlfriend (and now-wife), who was familiar with Chick-fil-A; the man’s uncle was Truett Cathy, Chick-fil-A’s founder. After submitting his resumé, if Meadows had any doubt about the restaurant business, it was erased during his first trip to the restaurant company’s Atlanta headquarters, where a newly installed plaque declared Chick-fil-A’s corporate purpose, which includes, “to have a positive influence on all who come into contact with Chick-fil-A”. “That’s the kind of company I want to work for,” he thought. Meadows took the job. In 1989 he opened his store in Birmingham. It was the first standalone Chick-fil-A restaurant to be opened outside of Georgia. Meadows says he’s motivated by the people in his life—family, associates, customers. His team.